It’s no secret that mindfulness in education is recognized as an effective tool in social and emotional learning (SEL). Mindfulness exercises, which encourage us to focus on what is happening moment-by-moment without being judgmental, improve concentration and empathy, and reduce anxiety and stress, according to various studies. But schools are going one step further and combining mindfulness with reading, demonstrating exceptional results. Bibliotherapy encourages reading for therapeutic effect. It’s not new, but it’s used as effective therapy in many parts of the world – from literature courses for prison inmates to reading circles for elderly people suffering from dementia. Results prove that reading is good for you, literally. It sharpens analytical thinking and increases empathy. For example, reading Harry Potter made young people in the UK and Italy more positively disposed towards stigmatized minorities such as refugees, according to a study. 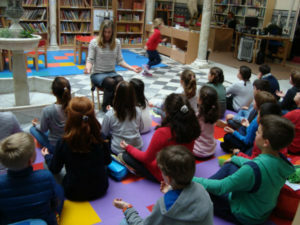 An IB World School in Spain is offering workshops to Primary Years Programme (PYP) students and parents, which combine bibliotherapy with mindfulness techniques. 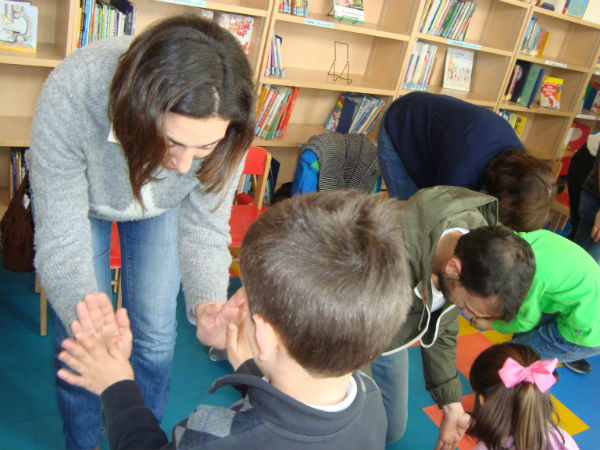 Colegio de San Francisco de Paula uses books and stories to create a safe space for parents and carers to explore feelings, worries, behaviours and difficult situations with their children. After reading The Novel Cure: An A-Z of Literary Remedies by bibliotherapists Ella Berthoud and Susan Elderkin, Curtis was inspired to bring bibliotherapy into existing mindfulness exercises at Colegio de San Francisco de Paula. During the sessions, children and parents explore how to use their breath to stay calm and relaxed. They take part in various exercises, including ‘mirror movements’, ‘mindful hugs’ and ‘mindful eating’, which all bring awareness to the present moment and help participants become fully aware of their movements and actions. 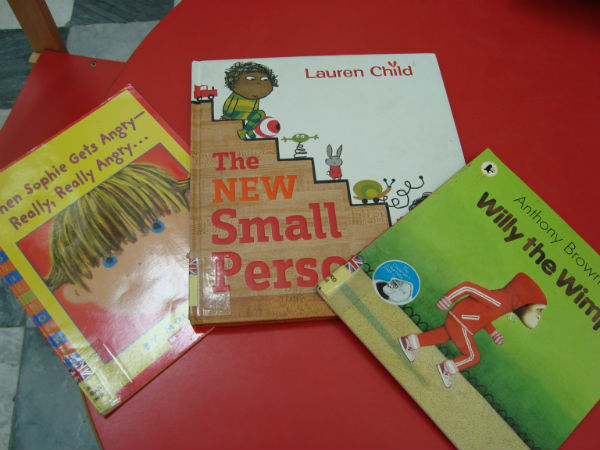 In between these exercises, Curtis reads stories aloud with the children, regularly asking questions and exploring issues that naturally arise from the story. She models how parents can use stories to start conversations with their children. The results have had a wider impact on students, according to feedback from PYP teacher Katie Fitzgerald. Students regulate their emotions more effectively; feel less frightened of making mistakes as they put more emphasis on the process rather than the finished product; and better handle conflict when working within a team. Currently, the sessions are only held a few times a year. While Curtis is keen to offer more regular workshops, she says that they effectively introduce useful techniques and tools to parents and children, and encourage regular practice at home. Parent involvement is essential. It reinforces learning and offers parents a chance to forge stronger bonds with their children, according to Curtis. “Parents can learn to be completely present in the moment with their children while reading a story, rather than being distracted with worrying about other everyday stresses,” she says. Anecdotal evidence from schools and online student forums suggest that the IB Diploma Programme (DP) workload might be too demanding. While many IB World Schools practice mindfulness with DP students, Curtis believes that adding bibliotherapy could further help students cope with pressures. “These techniques encourage students to explore healthy habits and coping mechanisms,” she says. Adults benefit, too. There are many sources that claim bibliotherapy can help with anxiety and depression. In the UK, in 2013, it was announced that doctors were considering sending depressed patients away, instead suggesting they read a “mood-enhancing” book. In the era of social media and virtual reality, the power of books and reading cannot be underestimated. Novels invite readers to submerge themselves in another world, offering self-reflection, new ideas and inspiration. “As a librarian that’s what I would like to see more of, and if it’s done mindfully that’s doubly fantastic,” says Curtis. Want to start a bibliotherapy and mindfulness workshop at your school? Smiling Mind (https://smilingmind.com.au/), an Australian not-for-profit organization. Teaching with storyby Margaret Read MacDonald, Jennifer MacDonald Whitman and Nathaniel Forrest Whitman. “The techniques do not require great expertise, only a willingness to experiment and a love of stories and reading,” says Curtis.